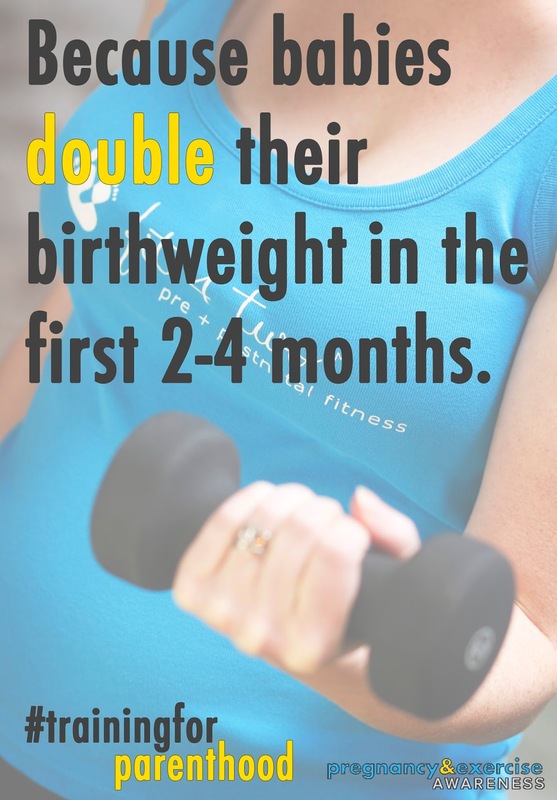 Most babies double their birth weight in the first 2 to 4 months. You need muscles! Try this fun test to see if you are MUSCLE READY for parenting. From the day you take your baby home from the hospital you are going to need a strong and stable body. Pregnancy is your opportunity to prepare. You won’t regret it. 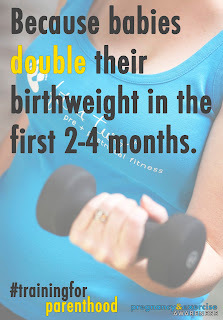 Click here for prenatal strength training guidelines and tips.